…we can simply strip out what doesn’t work on mobile, simplify the information, and create a custom design that will render fast and be easy to use for someone on mobile phone or tablet. Once your main web site is updated, the exact information is presented on your mobile friendly web site but in an easier way for mobile users to see and navigate through. Tablets are increasing in resolution so fast that most web sites look absolutely fine on tablet, but the same cannot be said for smart-phone devices which operate at an average resolution of 750×1334px, ie. very small! Given the small size of the screen on top of that, links can be difficult to click on, text can be difficult to see if too small etc, so it’s very easy to rectify this situation and present a mobile version of your web site for users. Google recommends responsive web design! Just read here Google’s recommendations for mobile web design. Google also are ranking responsive web sites differently on mobile results, see below for more info, we do know that mobile friendly web sites are ranking higher in search results. Coding to Google’s recommended standards will always be good for the overall health of your site! 1. Responsive web design: Serves the same HTML code on the same URL regardless of the users’ device (desktop, tablet, mobile, non-visual browser), but can render the display differently (i.e., “respond”) based on the screen size. Responsive design is Google’s recommended design pattern. Our websites are fully suitable for Google mobile first indexing. This is arguably the most important algorithmic change and shift in user habits in years when it comes to search engine optimisation. 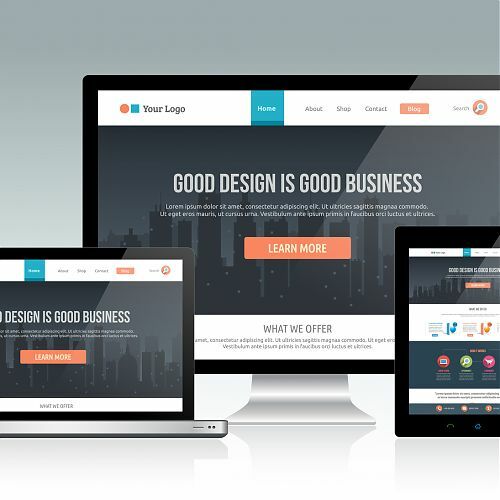 It’s never been more important to have a responsive website that performs just as well on mobile as it does on desktop. Check out our most recent mobile website project for a local Cork company, www.hartigankitchens.com and you can see the mobile version of this site on your smartphone.